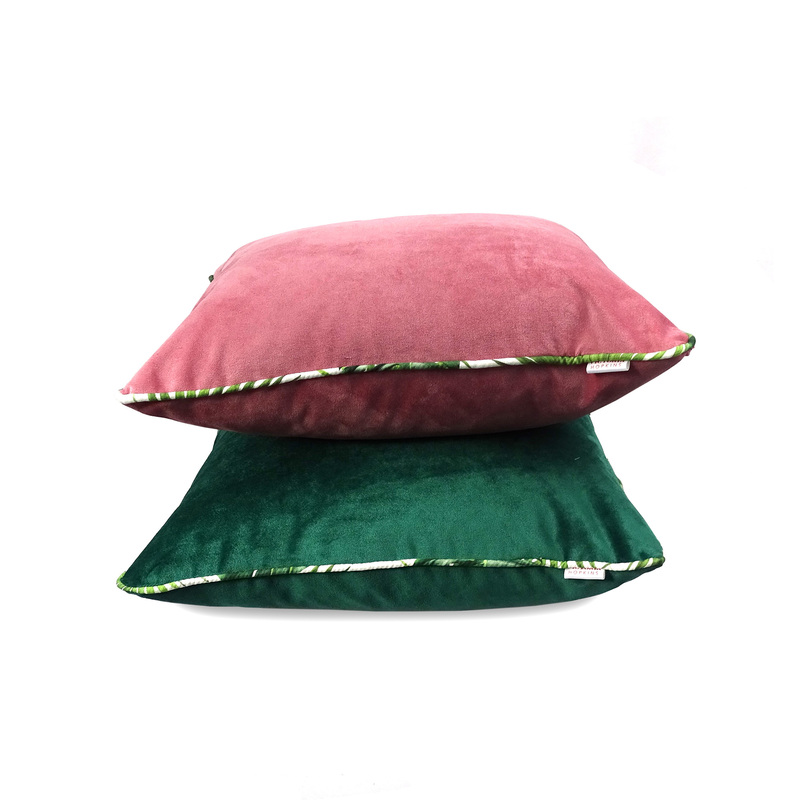 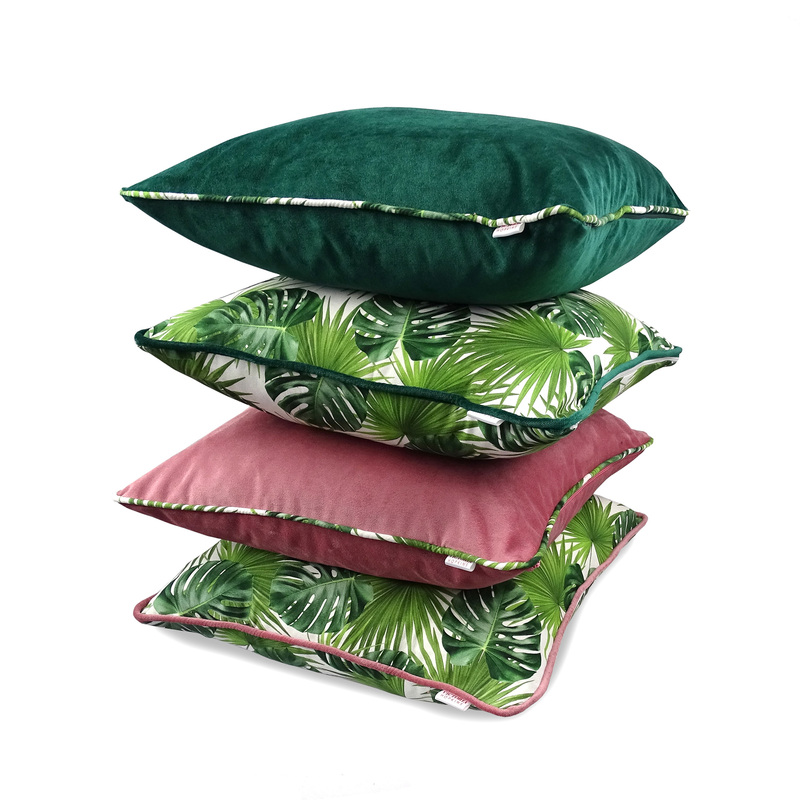 Luxurious emerald green velvet cushion cover features ever popular tropical leaf print piping. 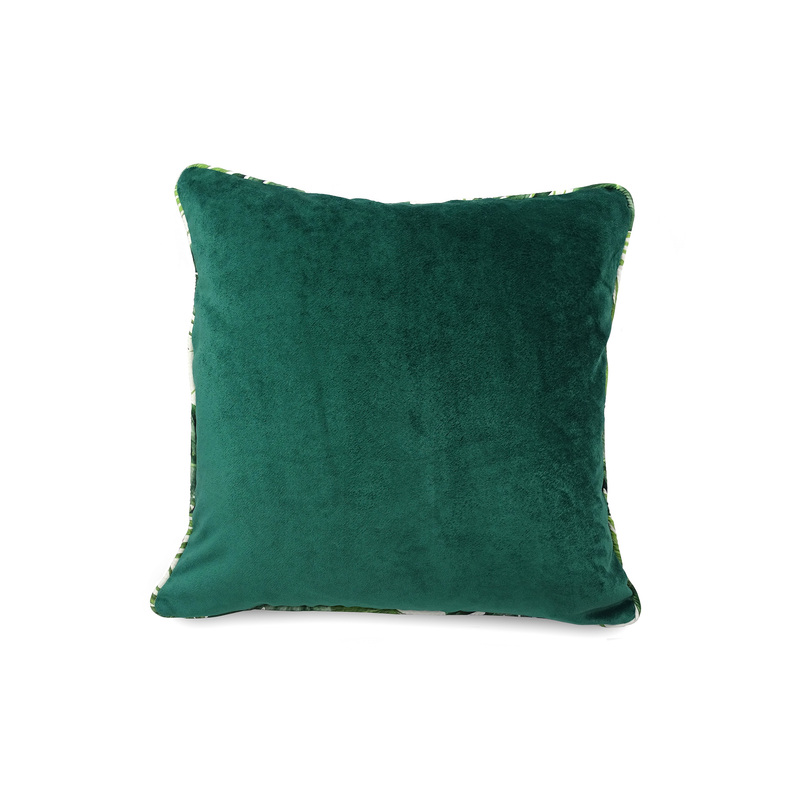 This super soft velvet cushion cover would be a fabulous addition to any soft or chair. Matching products also available. This emerald green velvet cushion cover features jungle leaf print piping and is to fit a 50x50cm cushion pad. 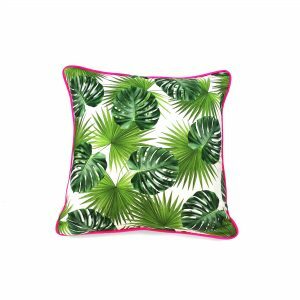 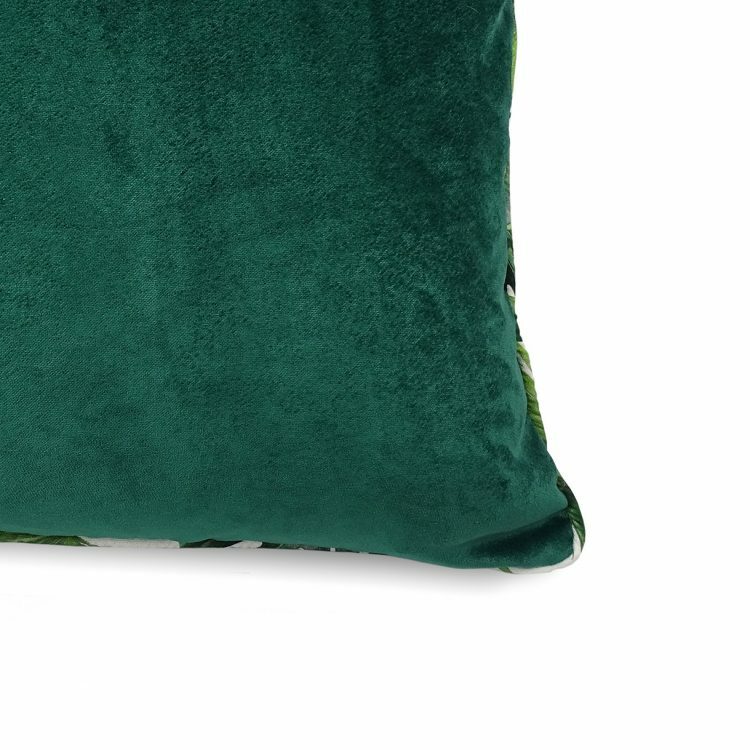 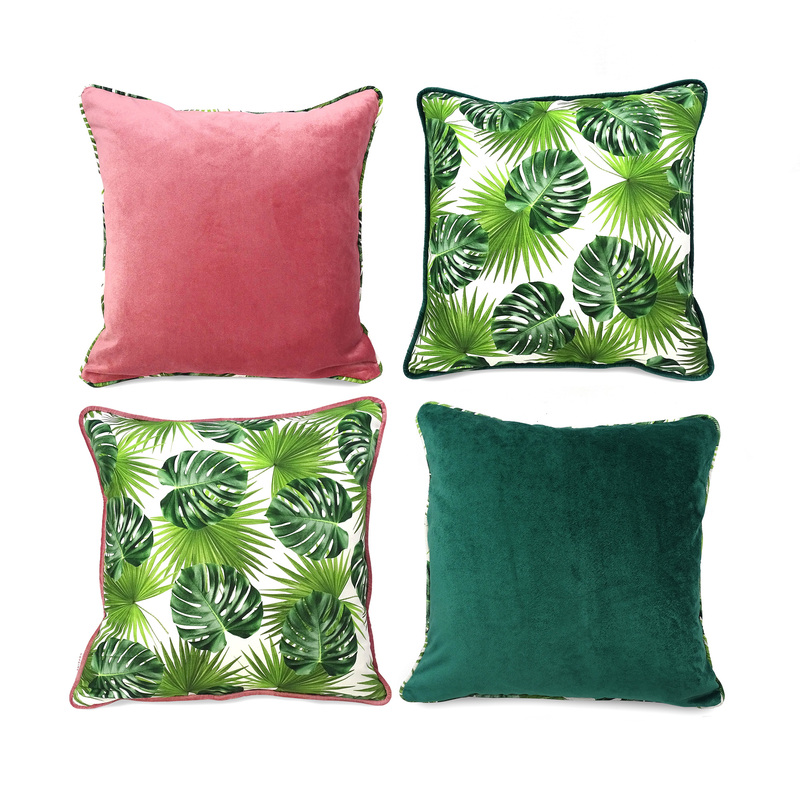 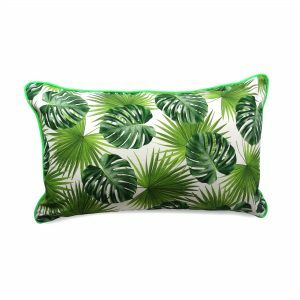 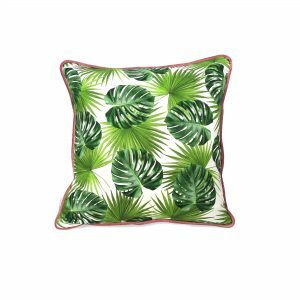 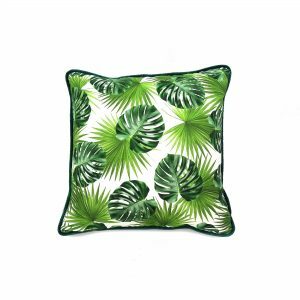 Emerald is hugely popular and it’s popularity is set to continue through 2018 and beyond so get involved in the tropical trend with this stunning pillow which is sure to liven up any room.